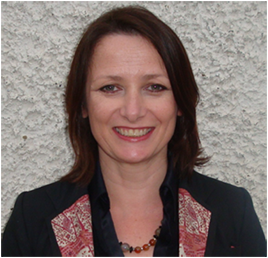 Dr. Christine McGarrigle joined TILDA as a Social Epidemiology Research Fellow in April 2012. She received her M.Sc. and PhD in Epidemiology from the London School of Hygiene and Tropical Medicine, University of London (UK). She previously received a B.Sc. in Chemistry from University College Dublin. As part of the TILDA team her research is currently focused on intergenerational transfers, and the demographic, social and health factors associated with transfers between the generations. Prior to joining TILDA, Christine worked at the Health Protection Agency in London where she was the lead scientist for behavioural surveillance, and was an honorary research fellow at the Department of Primary Care and Population Sciences, University of London. She worked on a number of national surveillance and research programmes which included behavioural surveys, recruiting from both clinical settings and community settings using participatory research methods, which informed health promotion and disease control. Christine also worked on national programmes for establishing and developing unlinked anonymous surveys in clinical settings to estimate population prevalence of HIV infection. She led research focused on developing novel methods of estimating undiagnosed HIV prevalence and incidence using behavioural surveillance data. Her PhD thesis developed a novel method to estimate national HIV prevalence in the UK, using behavioural data on HIV testing.